Good news, X-Files fans: Gillian Anderson and David Duchovny are back to ruin your lives. 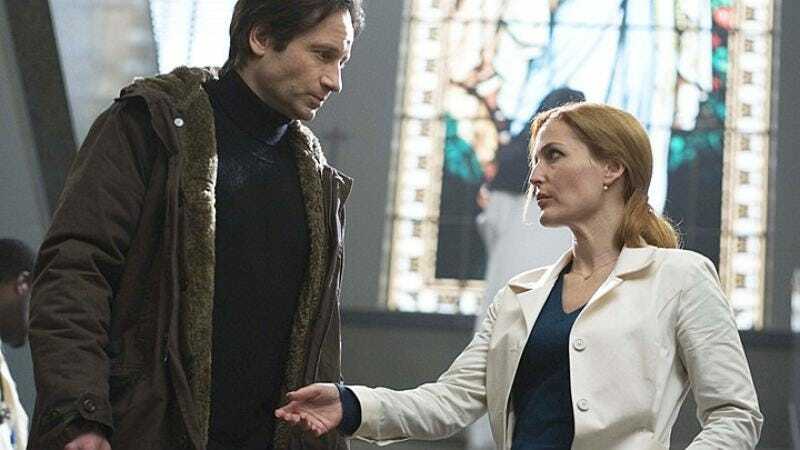 No, they’re not kissing and dancing on stage again, but they have begun filming Fox’s X-Files revival. The truth is out there: The X-Files revival is really happening, and there are now pictures to prove it. Joel McHale, who is set to guest star in the series, was also seen on set yesterday. Anderson has also been promoting the revival on her own Twitter, where she broke the news of her newly re-dyed red hair and posted a couple of her own photos from set. With 227 days left until January 24, 2016, she and Duchovny have plenty of time to continue torturing fans and shippers.